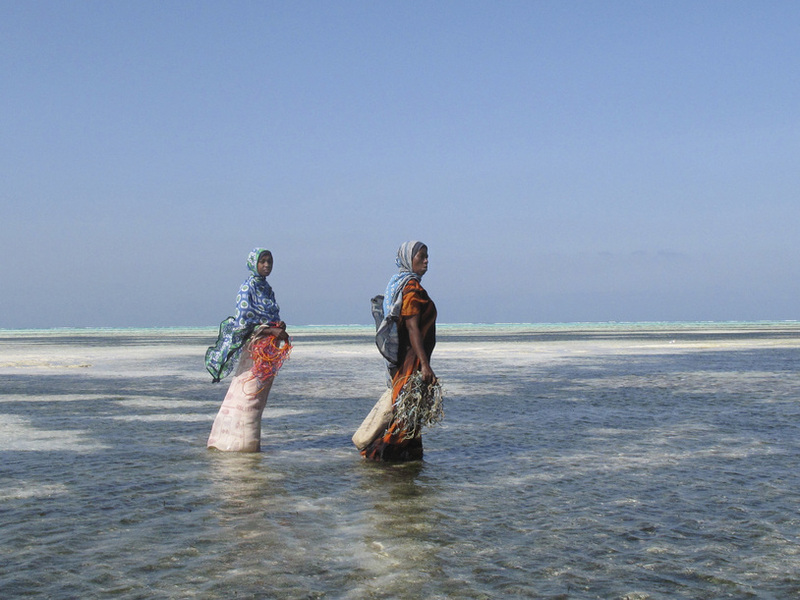 Seaweed farming is an occupation dominated by women who live in rural villages. 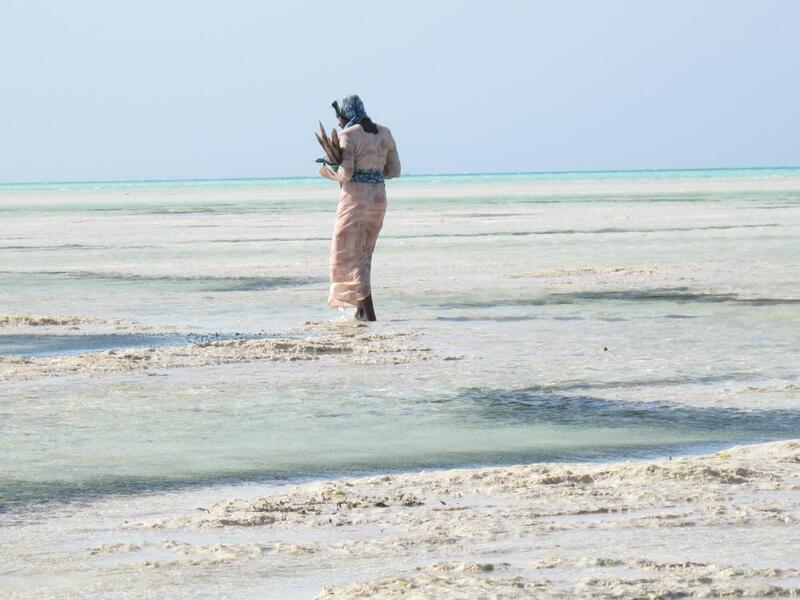 Today roughly 3% of the population of Zanzibar is involved in seaweed cultivation, and it provides approximately 20% of Zanzibar’s export earnings. 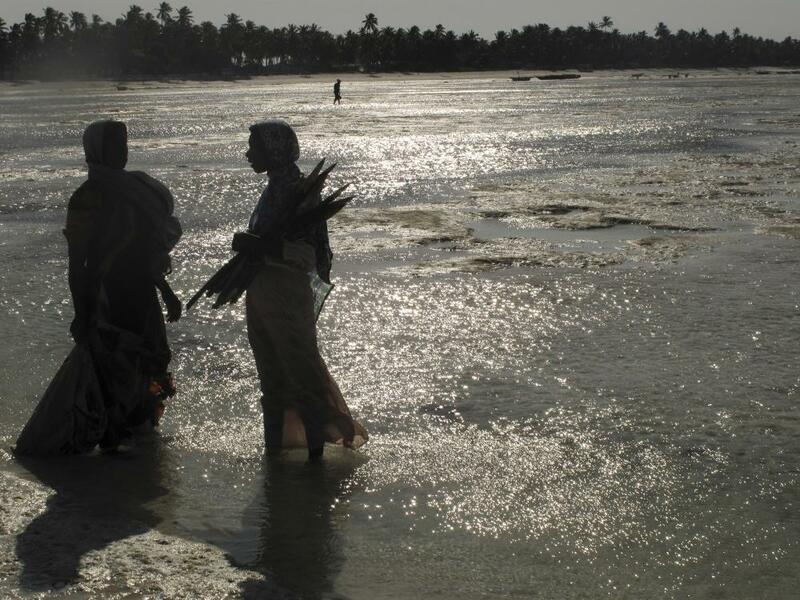 The thin thread that connects seaweed farmers in Zanzibar to the global economy is growing more fragile by the day as poverty levels rise and environmental and economic activities like seaweed farming become increasingly unsustainable in the absence of modern technology and business infrastructure. There is something sublime about the way in which the two seaweed farmers looking outwards towards the horizon line across the vast expanses of ocean and sandbars at low tide seem so distant, so detached and so protected from the intrusive technology and architecture of modern life. There is something sacred about their proximity to nature and their graceful alternation between togetherness and solitude, moments of union, attunement, separation, individuation and reunion. The scale of these human figures in relation to the landscape and the purity of their direct, passionate connection to unbroken nature in all its unmarred beauty evokes the utopian nostalgia often associated with the paintings of Caspar David Friedrich (such as Woman before the Rising Sun, 1818). When I photographed and videotaped the seaweed farmers, the direct contact between their hands, the water and the seaweed, evoked in my mind nostalgic memories of timeless images of women laborers in paintings such as Jean-Francois Millet’s The Gleaners and Vincent Van Gogh's Two Peasant Women Digging. The minimalist visual elements of Zanzibar’s rural coastal landscape and horizon line at low tide in the shifting light illuminating rippling currents elicit associations with Monet’s Haystacks, marking the tensions and transitions between the passage of time from sunrise to sunset and the timeless elements of nature, perpetually renewed with reliable constancy, even as other aspects of the world grow and change, altered by human hands, becoming more modernized and dominated by technology. 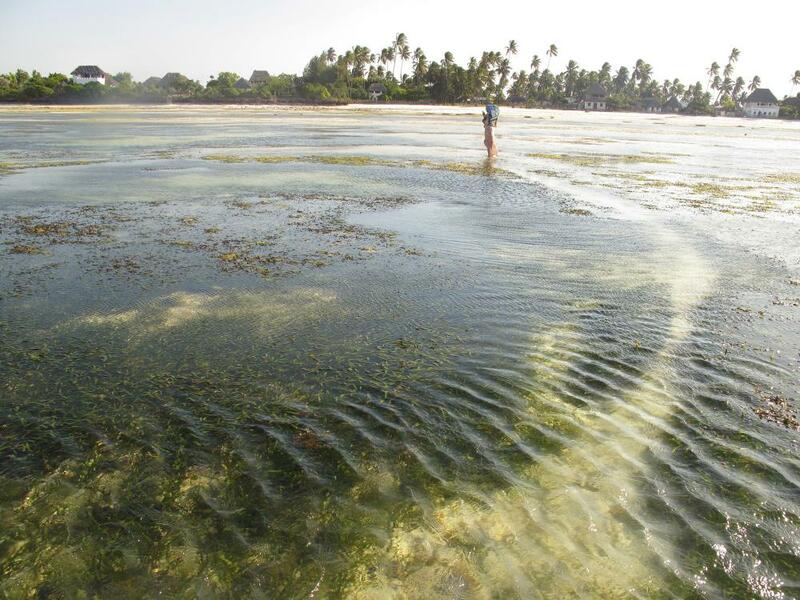 One major problem currently facing seaweed farmers in Zanzibar is the absence of infrastructure and hardware needed to process crops and extract valuable algae. This incapacity forces them to be totally dependent on industrialized countries. Many seaweed farmers are illiterate and have limited leverage when it comes to negotiations with local brokers who often provide tools such as ropes and pegs on the condition that the seaweed farmers sell their seaweed exclusively to them. Within the isolated confines of Zanzibar’s rural villages, these factors contribute to depressing prices for the raw commodity. 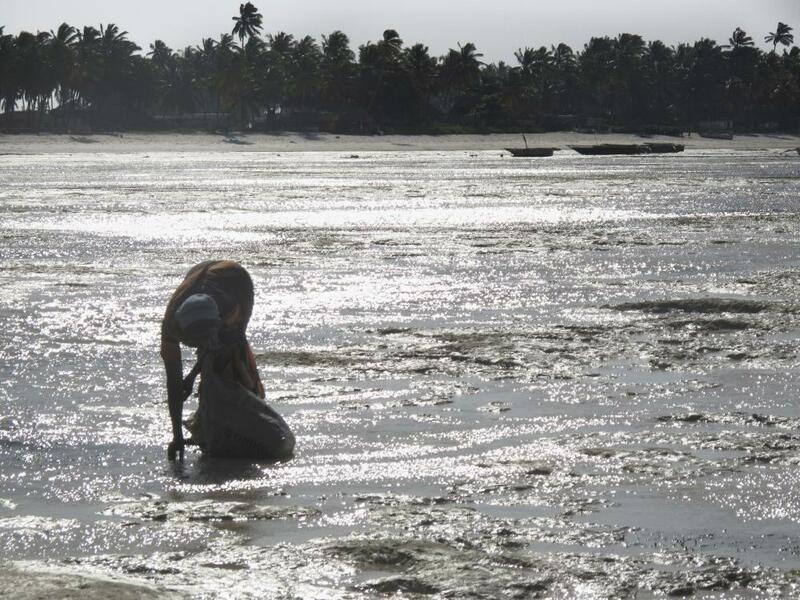 After the seaweed has been laid out in the sun to dry it is transported from rural villages to Stone Town and from there it is exported to Europe and the United States where it is prized for the chemicals it produces in the form of algae extracts. Thus local workers do not reap the profits of their labor. Those who import and process the dried seaweed benefit. On a global level, the import and export of seaweed is a $200 billion business. The United States alone imports nearly $50 billion annually. Algae extracts are widely used in processed dairy, meat, and fruit products, in medical bioengineering, in cosmetics, in paint, toothpaste, air fresheners, fertilizers, pharmaceuticals and in green biofuels being developed to revolutionize transportation and mitigate global warming. Fuels derived from Algae have demonstrated great potential in the arena of transportation as alternative green biofuels, with molecular structures that resemble those found in gasoline, diesel and jet fuel. Currently, large multinational corporations like Exxon are investing hundreds of millions of dollars in research and development geared towards genetically engineering synthetic strains of algae capable of absorbing huge amounts of carbon dioxide like that emitted by power plants. In sharp contrast, one seaweed broker in Zanzibar reported that he paid farmers seven US cents per kilogram of seaweed. 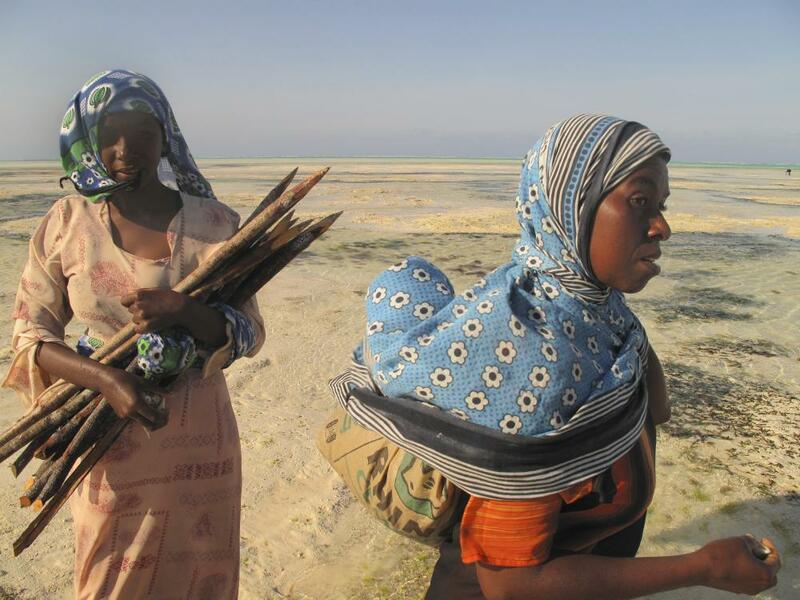 According to another report that looked at Tanzania as a whole including Zanzibar, farmers who harvest seaweed every two months earn about $500 per family. That is equivalent to approximately six months of work for fishermen. Both of these traditional occupations simply connected to nature were once sustainable and provided sustenance – in the modern, complex technological world they are dramatically undervalued. While there are those who have nostalgia for the past when aquaculture and agriculture were sustaining occupations for individual families, big corporations like Exxon are looking ahead into the future, avidly seeking to harness, develop and exploit nature’s inherent value. Without microfinance loans, improved education, and community organization amongst laborers, seaweed farming as a cash-generating, economically empowering occupation for rural village women cannot grow as an industry and a valuable opportunity will be lost. I was interested in capturing the isolation of the seaweed farmers who at times appear dwarfed in relation to the sea and the horizon. Joanna Lipper traveled to Zanzibar in the summer of 2009 to photograph women of diverse religious, ethnic, and economic backgrounds in both urban and rural settings. 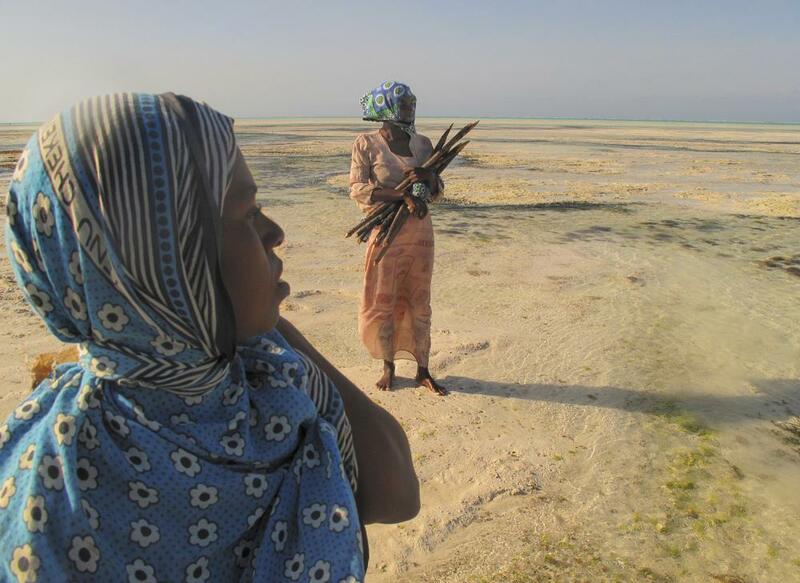 While in Zanzibar, Joanna Lipper visited Jambiani, a rural village on the east coast of Unguja where some women work as Seaweed Farmers. On a global level, the import and export of seaweed is a $200 billion business, with the United States importing nearly $50 billion worth each year. 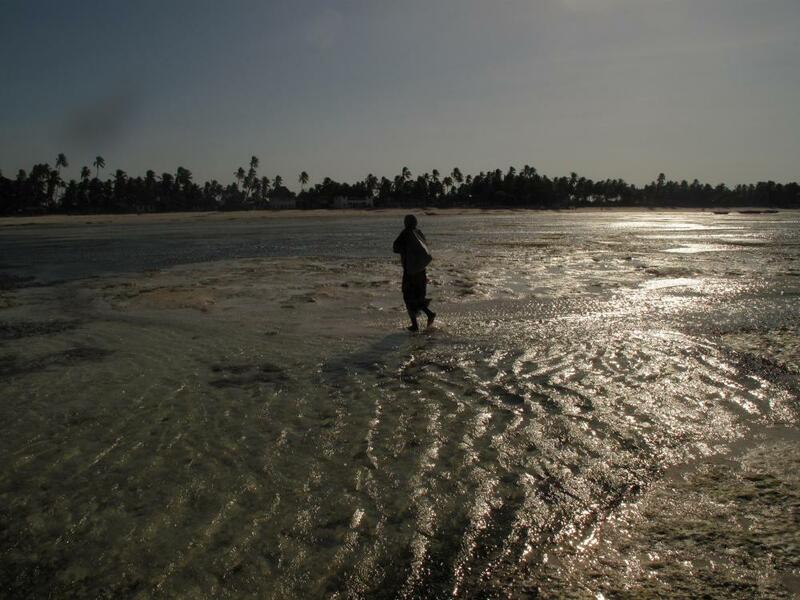 Zanzibar is at a disadvantage when it comes to profits derived from Seaweed cultivation because the islands lack the large‐scale infrastructure and hardware needed to process seaweed and extract valuable algae. Therefore the raw materials are shipped abroad. 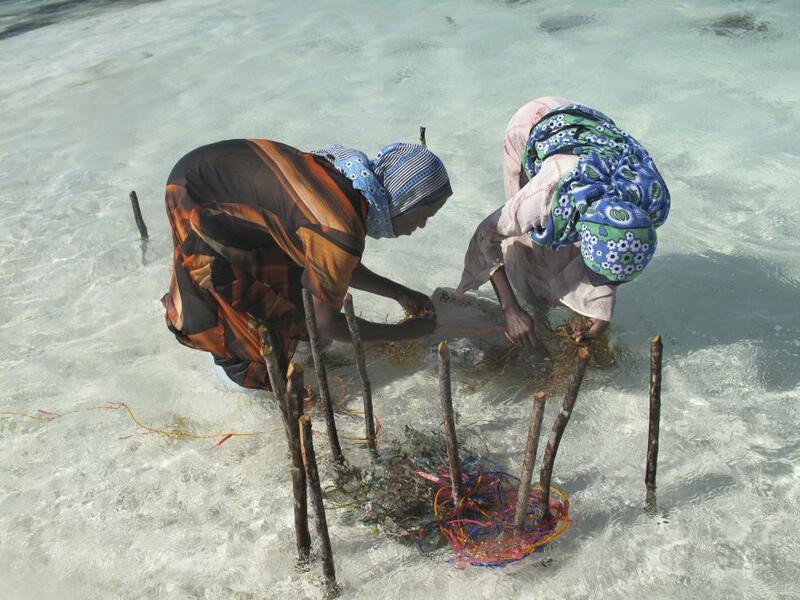 Without microfinance loans, improved education, and community organization amongst laborers, there can be no further growth for seaweed farming as a cash‐generating economically empowering occupation for rural village women and this form of labor runs the risk of becoming obsolete in Zanzibar. The direct contact between the hands of the farmers, the water and the seaweed, evokes memories of timeless images of women laborers in paintings such as Jean-Francois Millet’s "The Gleaners" and Vincent Van Gogh's "Two Peasant Women Digging." 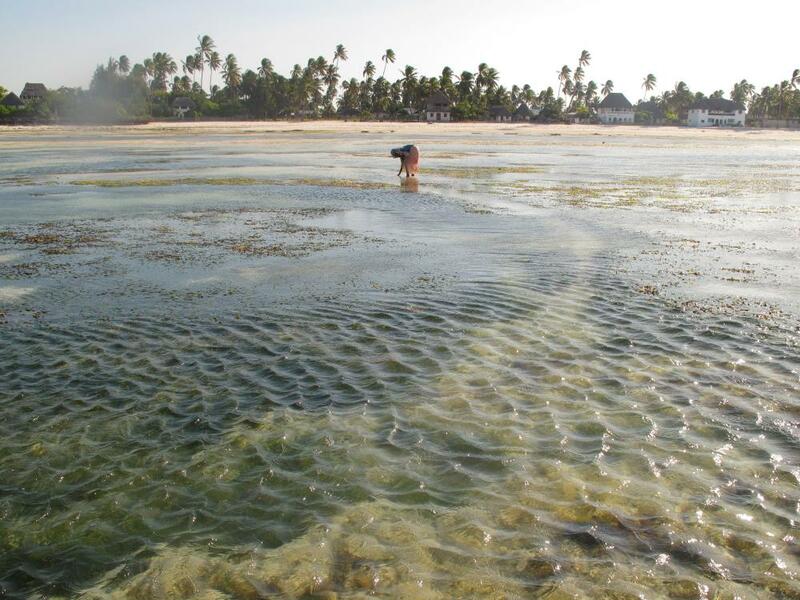 One major problem currently facing seaweed farmers in Zanzibar is the absence of infrastructure and hardware needed to process crops and extract valuable algae. This incapacity forces them to be totally dependent on industrialized countries. 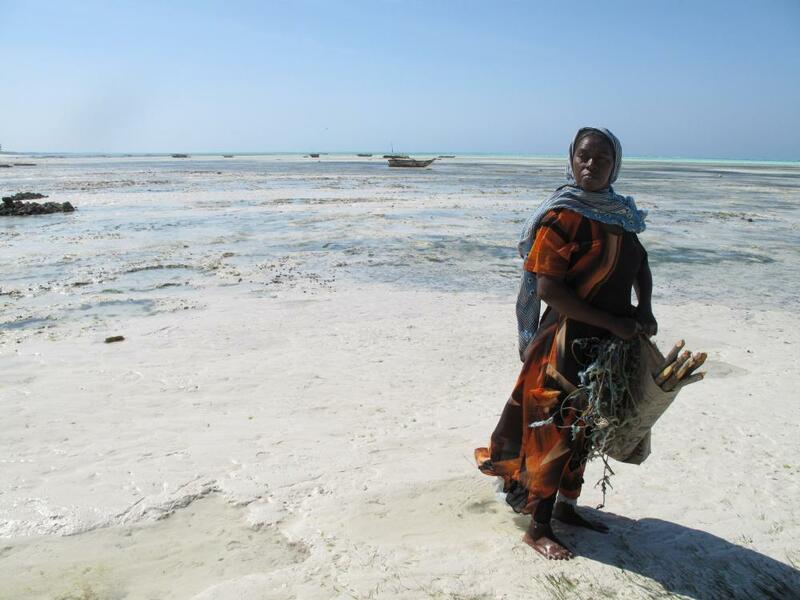 The thin thread that connects seaweed farmers in Zanzibar to the global economy is growing more fragile by the day as poverty levels rise and environmental and economic activities like seaweed farming become increasingly unsustainable. There is something sacred about the seaweed farmers and their proximity to nature. There is something sublime about the way in which the women looking outwards towards the horizon line across the vast expanses of ocean and sandbars at low tide seem so distant, so detached and so protected from the intrusive technology and architecture of modern life. Many seaweed farmers are illiterate and have limited leverage when it comes to negotiations with local brokers. Within the isolated confines of Zanzibar’s rural villages, these factors contribute to depressing prices for the raw commodity. Often local brokers provide tools such as ropes and pegs on the condition that the seaweed farmers sell their seaweed exclusively to them. After the seaweed has been laid out in the sun to dry it is transported from rural villages to Stone Town and from there it is exported to Europe and the United States. Seaweed is prized for the chemicals it produces in the form of algae extracts and also for its remarkable ability to absorb tremendous amounts of carbon dioxide. Algae’s valuable extracts are widely used in food (such as processed dairy, meat, and fruit products), in cosmetics (such as lipstick and mascara), in paint, toothpaste, air fresheners, pharmaceuticals and in agriculture, a sector in which farmers have seen great improvements in their harvests, thanks to products like Kelpak. On a global level, the import and export of seaweed is a $200 billion business, with the United States importing nearly $50 billion worth each year. 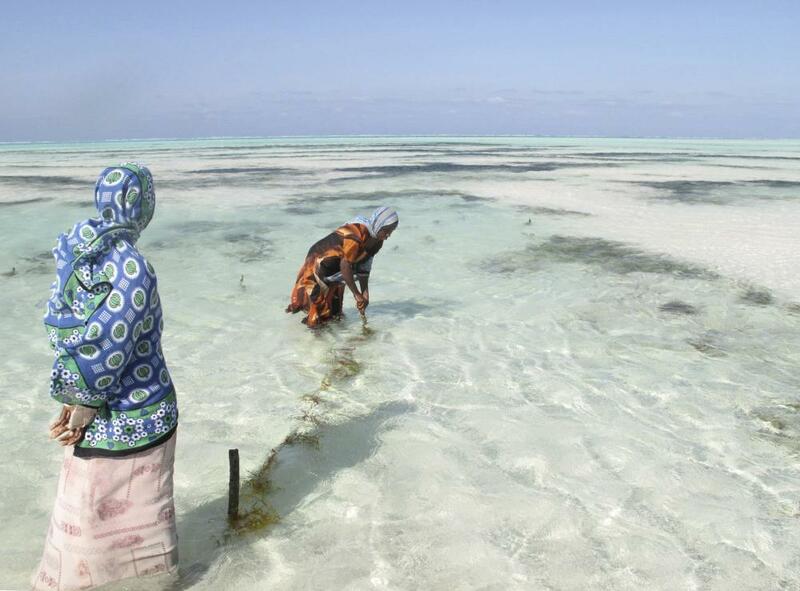 Seaweed farming is an occupation dominated by women who live in rural villages. 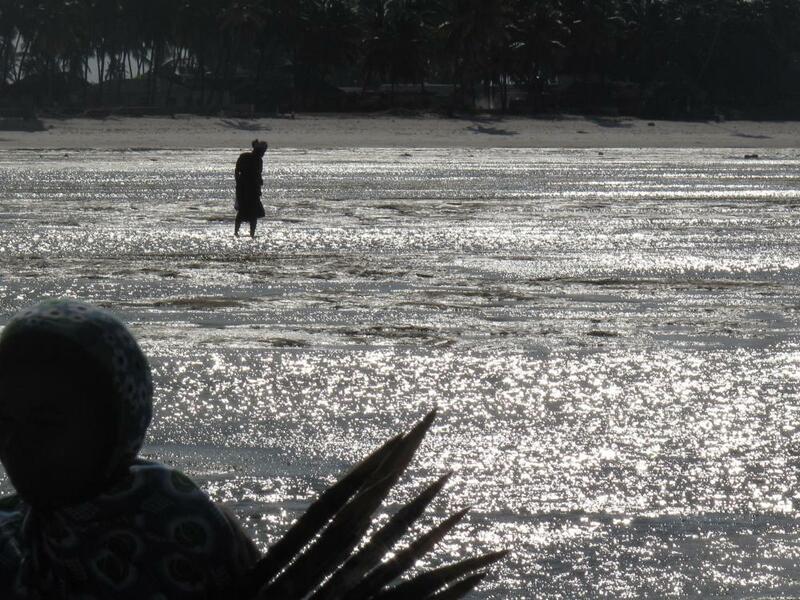 Today roughly 3% of the population of Zanzibar is involved in seaweed cultivation, and it provides approximately 20% of Zanzibar’s export earnings. 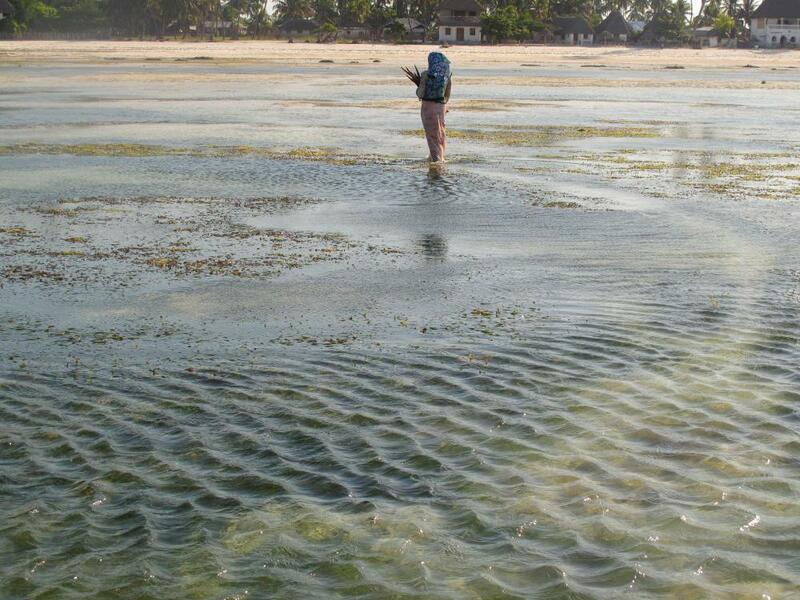 One seaweed broker in Zanzibar reported that he paid farmers seven US cents per kilogram of seaweed. 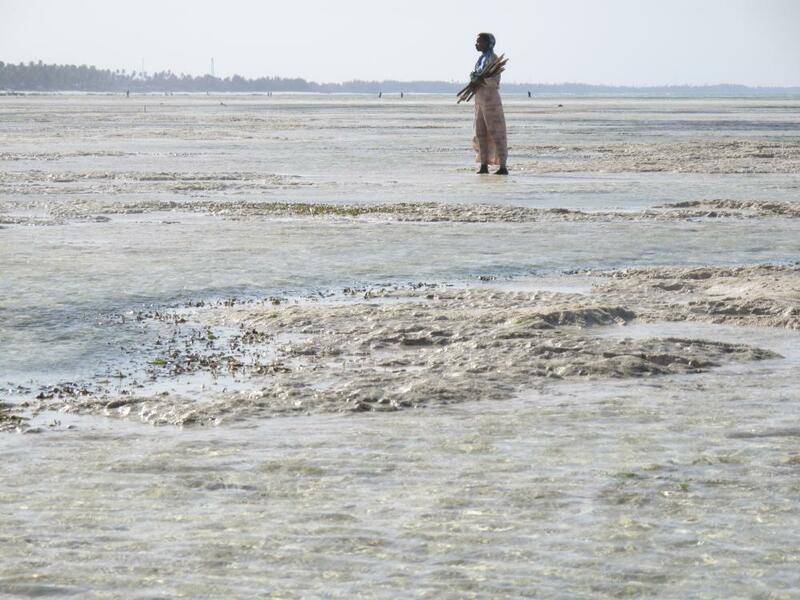 According to another report that looked at Tanzania as a whole including Zanzibar, farmers who harvest seaweed every two months earn about $500 per family. That is equivalent to approximately six months of work for fishermen. Fuels derived from Algae have demonstrated great potential in the arena of transportation as alternative green biofuels, with molecular structures that resemble those found in gasoline, diesel and jet fuel. Exxon recently announced that they are planning to invest hundreds of millions of dollars in genetically engineering synthetic strains of algae. 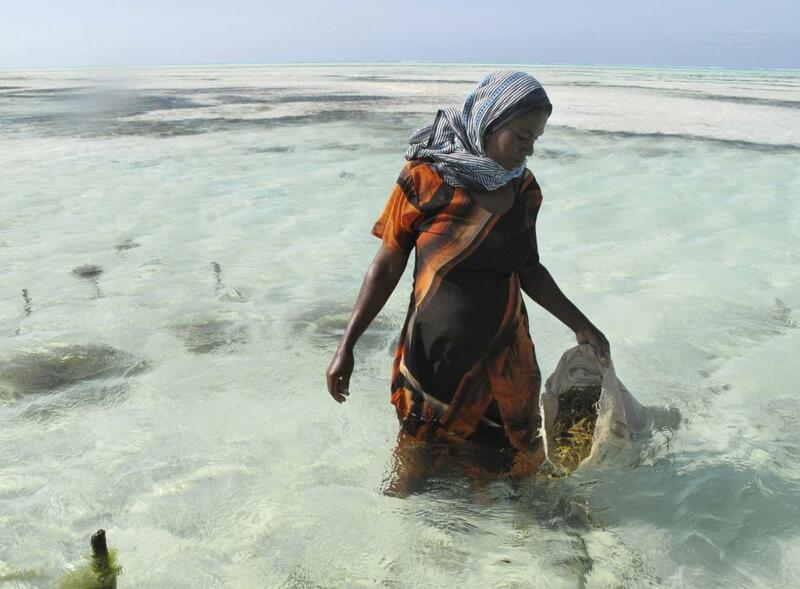 Without microfinance loans, improved education, and community organization amongst laborers, seaweed farming as a cash-generating, economically empowering occupation for rural village women, runs the risk of becoming obsolete in Zanzibar.